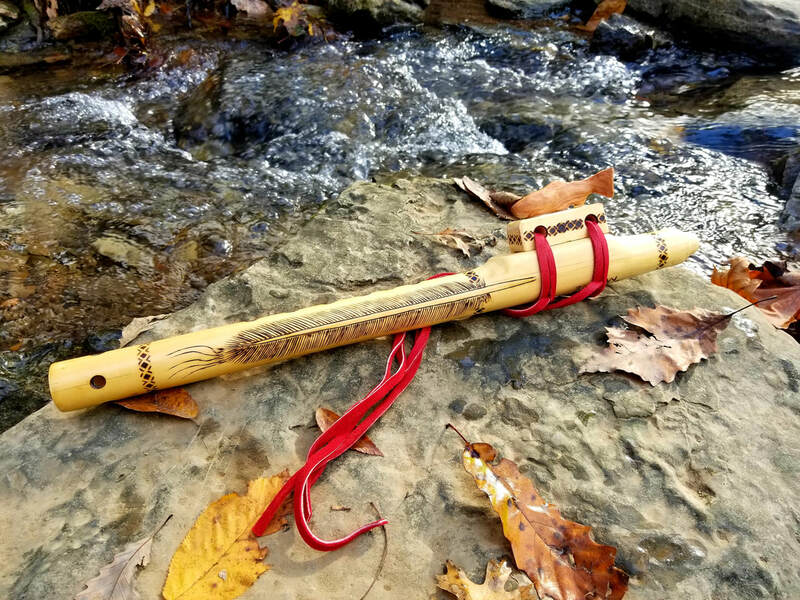 Introducing the new "Spirit Song" Gareth Signature Flute Series, in honor of the soon to be released, "Spirit Song" film, based on Gareth Laffely and Lance Bendiksen's "Voices of the Guardians" album featuring award winning Native American actor, Wes Studi. Master flute maker Tony Francis of Two Bears Flutes of Maine, has crafted this beautiful new flute series. The flutes are each made from Alaskan Yellow Cedar wood and are tuned to the key of A Minor. 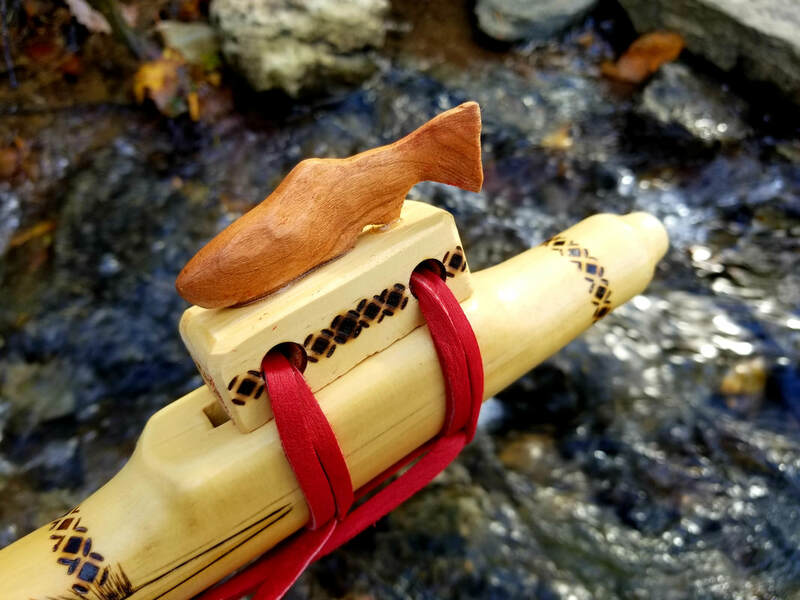 The block of the flute features a hand-carved salmon to pay tribute to the water of life that connects us all. Be sure to watch "Spirit Song", (link on home page), and see Gareth, Lance, Wes Studi, and meet Tony Francis. 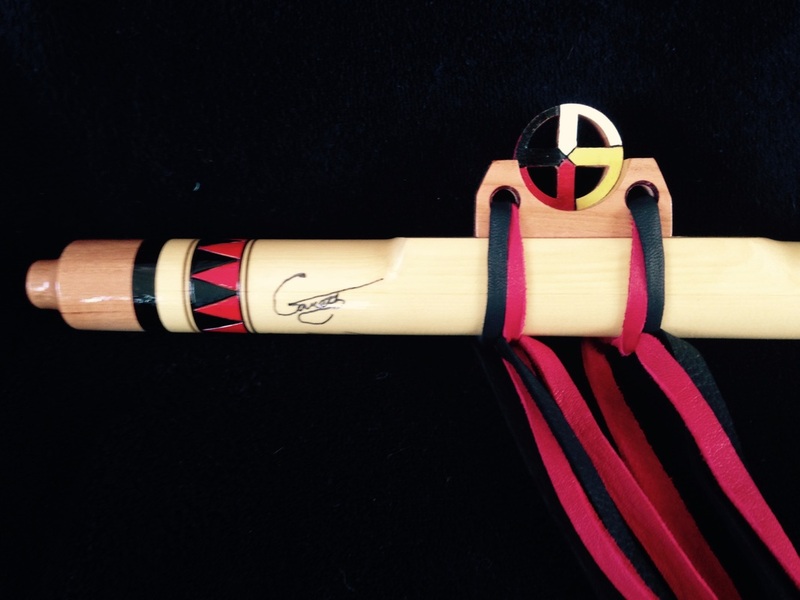 Order your "Spirit Song" Gareth Signature Flute today - ONLY 5 AVAILABLE! Blue Inlace inlay. Each flute is concert tuned to the key of high B Minor, and comes with it's own blue felt carrying case. 2016 MEDICINE WHEEL SIGNATURE FLUTE SERIES - SOLD OUT! I am very proud to announce that the new 2016 Gareth Signature Flute series (made by master flutemaker Dana Ross) is ready to be released! 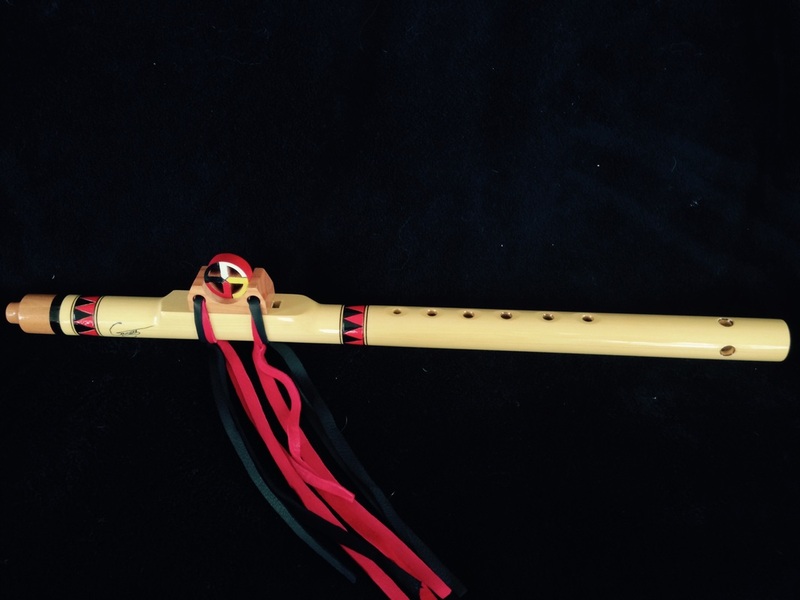 The flute is concert tuned to mid A Minor and features the Native American medicine wheel and blanket designs. This piece of art is made from Alaskan Yellow Cedar with indented finger holes for ease of playing (this also makes the flute easier to play for people with arthritis and carpel tunnel). The flute sounds as beautiful as it looks! Priced at $225 +s&h. Limited edition. Gareth has teamed up once again with Master flute maker Tony Francis of TWO BEARS FLUTES to bring you this beautiful new flute series. 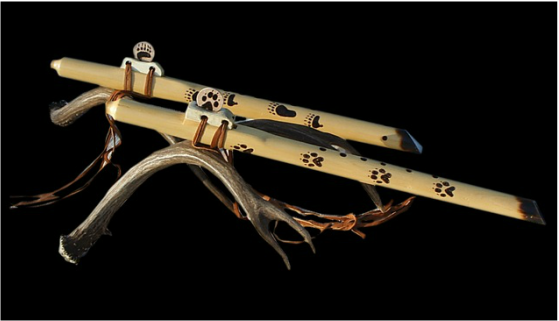 The flutes are made of curly birch, producing a clear crisp tone and feature two hand inlaid turquoise rings and a bear paw. The flutes are concert tuned to the key of high B minor. Each flute has its own unique look and sound. Limited edition of 13 flutes. Hand crafted by master flute maker Tony Francis of 2 Bears Flutes - this signature flute series is made out of Alaskan Yellow Cedar and is available with wolf tracks - key of Fm, or with bear tracks - key of Gm.